Join Us!!! We are looking for someone to help us cover ODESUR Games basketball. Please send us an e-mail. Paraguay edged Argentina to clinch Gold at the ODESUR games 2018. Paraguay needed a 71-68 win to finish first with a 4-1 record. Argentina suffered their first loss, but due to the defeat from the opponent ended up on the second place. Gabriel Peralta (201-F-95) stepped up with 27 points for the winners and Bruno Zanotti (198-SF-82, college: Merrimack) poured n 24. Marco Gnass scored 17 in a loss, whilst Francisco Farabello (188-G-00) poured in 16. Chile stepped up on podium as they beat Bolivia 73-45. Darrol Jones (193-SF-94) top-scored for the winners with 17 points and Diego Silva (186-F-93) delivered 14. Pedro Gutierrez (175-PG-96) answered with 18 points in the losing effort. Colombia edged Peru 97-53 in their last game. John Hernandez (207-C-84) top-scored for the inners with 24 points and Freddy Asprilla (208-F-88, college: Canisius) added 21. Juan Venegas scored 16 points in a loss. Argentina remain undefeated in Cochabamba as they celebrated the fourth consecutive win. They edged Bolivia 82-62 for a 4-0 record. Marco Gnass top-scored for the winners with 19 points and Lucas Reyes (181-PG-00, agency: DTMones) nailed 14. Rene Calvo (193-F/G-93) answered with 19 points in the losing effort. Colombia handed Paraguay their first loss as they beat them 72-61. Stalin Quinonez stepped up with 21 points and Michaell Wright netted 20. Carlos Luis Vallejos (183-G-92) replied with 20 points in the losing effort. Chile overcame Peru 70-51 in another game. Ignacio Carrion (202-F-01) top-scored for the winners with 14 points and Diego Silva (186-F-93) posted 13. Juan Venegas produced 23 points in defeat. Argentina and Paraguay stay perfect at the ODESUR games 2018. 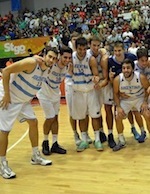 Argentina improved to a 3-0 record beating Chile 74-71. Juan De La Fuente (195-F/G-00) stepped up with 19 points and Lucas Reyes (181-PG-00, agency: DTMones) scored 13. Darrol Jones (193-SF-94) answered with 15 points in the losing effort. 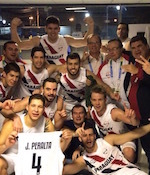 Paraguay is with a 3-0 record beating Peru 77-60. Rodney Mercado, Diego Lesme (203-F-95), Vincenzo Ochipinti (191-G/F) and Adolfo Farina each scored 12 points to lead the winners. Franco Naters replied with 16 points in the losing case. In the third game of the day Colombia edged Bolivia 73-46. Michaell Wright top-scored for the winners with 15 points, while Hansel Atencia (178-G-97) and Stalin Quinonez had 14 each. Diego Pol ended up with 8 points in defeat.